It is a time of war. The scribes and sorcerers of the land of Terrinoth have tapped into the power of the mysterious dragon runes. Though they comprehend only a fraction of the true potential of these artifacts, the rulers of the realm understand all too well that he who controls the dragon runes controls Terrinoth. Blinded by aspirations of power, and covetous of the runes of their neighbors, the leaders of human, elf, undead, and uthuk raise massive armies and march against each other. At the same time, brave heroes venture forth from their home cities on perilous quests in the hopes of claiming a dragon rune for their king, and eternal glory for themselves. Runewars is a game of fantasy empire building. Players must expand their empires to increase their resources and send hired heroes out on quests in the hopes of capturing precious and powerful dragon runes. The game is played over seasons of play, each player taking one action per season. The game ends once a faction has accumulated six dragon runes or six years have passed; in the latter case, the player with the most runes wins. In case of a tie, the tied player with the most influence wins, and if a further tiebreaker is needed, the tied player with the most starting influence wins. There are four factions that players may choose from: Latari Elves, Daqan Lords, Waiqar the Undying, and the Uthuk Y’llan. In addition, there are Neutral units that can prove to be either valuable allies or annoying roadblocks to each player’s goals. Heroes may also be controlled by each player, but are not counted the same as other units, and so will be discussed in a dedicated section below. Each unit in the game has one of four different types of base that determines the unit’s capabilities. Triangle Base units are the weakest, representing common soldiers. Circle Base units represent magical units (and heroes); their special abilities activate twice as much as other units. Rectangle Base units are mid-level units, tending to represent cavalry units or higher-level warriors. Finally, Hexagon Base units are the heavy hitters, tending to have high health and dealing large damage. More information can be found in the Combat and Diplomacy sections. Units may also have additional movement abilities, Flying or Fast. Normally, units are able to move up to two spaces with the Mobilize or Conquer Orders. In addition, there are restricted movement edges on the board, mountains (red) and water (blue). Units with the Flying ability may ignore restricted movement edges when making a move, and units with the Fast ability can move up to three spaces in a single action. The Latari Elves are not known for their military might. They are the only race to lack a Hexagon Base unit, although they do have two Rectangle Base units. The initiative on their units is high, with the Pegasus Rider a flexible unit with both Flying and Fast attributes. In addition, they start with the highest influence, providing them an advantage in the early game with diplomacy. Special: Crack Shot: Deal 1 damage to the unit of your choice. Special: Charge: Rout up to 2 enemy Triangle units or 1 enemy Rectangle unit of your choice. Special: Word of Vaal: Your opponent must retreat one of his standing units from the battle. Special: Overpower: Deal 1 damage or destroy the damaged or routed enemy unit of your choice. The humans are a steady army that has a couple of defensive and offensive tricks. While they do lack a magic unit, their Siege Tower unit allows them the chance to increase their strength against strongholds - or to hold their own ground. The defensive developments they can build also increase the chances that they will hold onto strongholds they build. Special: Concentrated Fire: Deal 1 damage. Your opponent must assign this to a unit with more than 1 health (if able). Special: Command: Deal 1 rout. Then draw 1 Tactics card. Special: Valiant Strike: Deal 1 damage. If this does not defeat the unit, it is dealt an additional damage. Special: Lay Siege: Gain +2 strength when determining the winner of this battle. Waiqar the Undying’s undead armies are built to swarm over the enemy with numbers. The Necromancer’s ability to generate additional Reanimates out of nothing, paired with the large damage potential of the Reanimates’ special ability can create a dangerous combination. However, the armies are slow and fragile: outside of the fearsome Dark Knight, all other units have but only 1 Health each. Special: Mortal Strike: Your opponent must destroy one of his Triangle, Circle, or Rectangle units of his choice. Special: Raise Dead: Gain 2 Reanimates and add them to the battle. Special: Overrun: Deal 2 damage if you have at least 2 standing Reanimates in the battle. Special: Intimidate: Deal 1 rout for each different standing unit type you have in the battle (maximum of 3). The Uthuk Y’llan form a varied army with units covering each of the four base types in their ranks. They also start with the highest amount of Tactics Cards, and have the largest capacity for gaining more with high resources. While they do not have as much influence as the other factions, the large hand of Tactics Cards they will often have gives them advantages in other ways. Special: Unrelenting: Each of your Flesh Rippers has 3 health until the end of the battle. Special: Fury: You may destroy 1 of your standing Berserkers to deal 2 damage. Special: Rain Fire: Your opponent must destroy 2 of his Triangle units or 1 of his Rectangle units (his choice). Neutral units dot the land at the start of the game. While they can be seen as a nuisance in the way of an empire’s expansion, they may also prove to be useful allies to use against your enemies. Neutral units are always considered enemies unless an alliance is built via diplomacy or a Rally Support Order. Under normal circumstances (before and after actions have been resolved), neutral units in the same area as a player’s units are considered allies with that player and are subject to unit limits. If neutral units are moved in a way that no player units are with them, then their alignment returns to neutral, or if they are moved into a different player’s area without conflict (such as via certain Tactics cards), they change allegiance to that player’s control. Special: Undying: Each of your Sorcerers has 2 health until the end of the battle. Special: Stun: Your opponent must rout one of his units with initiative 2 or higher. Special: Command: Deal 1 damage and then draw and resolve a new Fate card (limit once per Beastman). Special: Burning: Your opponent must choose 2 of his units. Deal each chosen unit 1 damage. Special: Flaming Breath: Destroy up to 3 Triangle units of your choice. Special: Rage: Deal 1 damage for each damage on 1 of your Giants. The game is played over a series of seasons. Each season starts with a primary effect that can vary between years depending on the drawn Season card. A secondary effect is then resolved, this is the same between years for each season. Players then select Order cards secretly, revealing them simultaneously. Play order proceeds according to played Order card, lowest number first. If multiple players select the same order, then the tie is broken according to the player with the most influence, or highest starting influence if that does not break the tie. Spring: The primary effects of Spring Season cards tend to deal with replenishment, providing the chance to gain new Objectives, heroes, or units. However, they may also bring a hindrance to the year’s plans. The secondary effect of Spring Season cards allows players to retrieve all activation tokens from the board, return all played Order cards to their hand, and stand all routed figures (including neutrals and heroes). Summer: Summer Season cards tend to provide danger and risk of losses of many types. The secondary effect of Summer Season cards allows heroes to act in the Quest Phase, described in the Heroes and Quests section. Fall: Fall Season cards have a variety of effects that often deal with the resource dials. The secondary effect of Fall Season cards refreshes the Fate deck and allows each player to draw their choice of one Tactics card or two influence tokens. Winter: The primary effects of Winter Season cards are associated with the generation of new dragon runes, oftentimes through influence bids. The secondary effect of Winter Season cards requires that players reduce the number of units in each of their controlled areas to a number equal to the value on the food resource dial. In addition, through the season, figures are allowed to cross water borders (blue). Certain Season cards contain primary effects that require players to perform an influence bid. In an influence bid, each player declares the total amount of influence they have, and secretly decide on how much influence they will bid. Bids are revealed simultaneously and a winner determined by the specific bid criteria. In case of a tie, the player with the “Primarch of the Wizards’ Council” Title card determines a winner. If no player has the Title card, then the tied player with the highest influence wins, or highest starting influence if that does not break the tie. After the bid, all influence bid is discarded. Each season, each player will play one Order card from a set of eight determining their turn’s action. Play order proceeds according to played Order card, lowest number first. If multiple players select the same order, then the tie is broken according to the player with the most influence, or highest starting influence if that does not break the tie. Order cards stay in play through each year, and return to players’ hands each Spring. If the Order card played is the largest number that player has played all year, then they will receive a bonus to their action, the Supremacy Bonus, with the exception of Order 8: Fortify, which will always be largest. (This means that the Order card played in Spring will always have the Supremacy Bonus.) During their turn, players may also play applicable Tactics cards. Cards that say they may be played on a player’s turn may be played just before, during, or just after performing the action on their Order card. The primary ability of the Strategize Order allows the player to move any units and heroes in any number of unactivated areas to adjacent empty or friendly areas - no battles may result as an outcome of the Strategize Order. 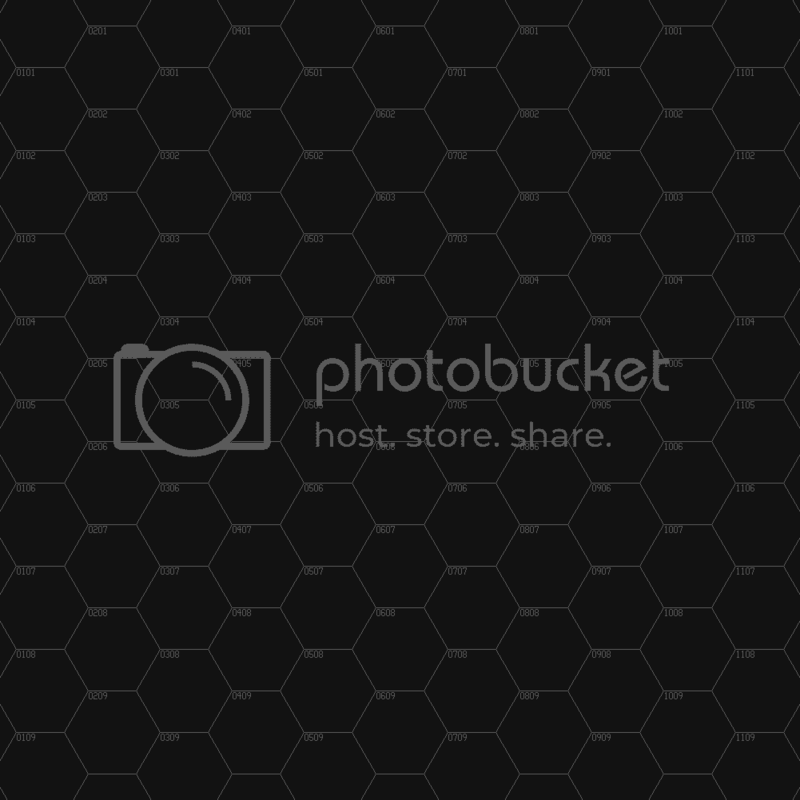 A maximum of eight units can be located in each hex. If played with the Supremacy Bonus, the player may also draw a number of Tactics cards based on his resource dials, taking one for each card image that falls at or below each resource dial’s current position. If the player has more than ten Tactics cards, then they must discard down to ten. Tactics cards may not be used in the same season they are received. 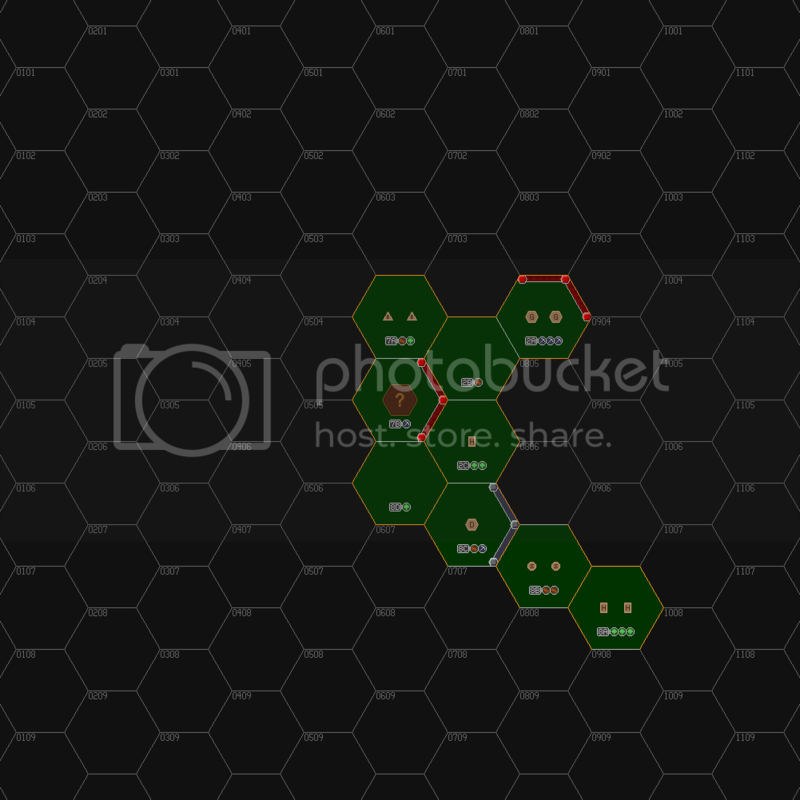 The primary ability of the Conquer Order is identical to the Mobilize Order above, allowing the player to activate an area and move in units from up to two hexes away. The two cards differ in the Supremacy Bonus afforded by each card. If played with the Supremacy Bonus, the Conquer Order provides a bonus of 3 strength when invading a hex that contains a stronghold. The primary ability of the Harvest Order resets the resource dials to levels according to controlled areas. Normally, dials are not changed when lands are lost or gained, but through Season, Tactics, and Order cards that specifically affect the resource levels. If played with the Supremacy Bonus, resources, Tactics cards, and influence that are provided by built developments may be collected. The wood resource may then be reduced by 1 to build a development at a friendly stronghold. A development may be destroyed to move it to a different stronghold location. If a development is left without a stronghold (such as if the stronghold is destroyed), then it is destroyed automatically. - Resources ( ): The Resources development provides one additional resource matching a resource provided by the area it is located in. Each faction has two of these developments. - Diplomat ( ): The Diplomat development provides two influence tokens. The Latari Elves and Daqan Lords each have one of this development. - Training Ground ( ): The Training Ground development provides one Tactics card. Waiqar the Undying and the Uthuk Y’llan each have one of this development. - Defensive Development: Each faction has two of these developments, which has a different effect for each faction. The Latari Elves’ defensive development, Protective Wards ( ), allows them to force an opponent to retreat one standing unit before calculating strength in a battle. The Daqan Lords’ defensive development, Reinforced Walls ( ), increases the strength of the stronghold by 2. Waiqar the Undying’s defensive development, the Cursed Tomb ( ), can force an opponent to rout three figures at the cost of discarding the development. The Uthuk Y’llan’s defensive development, Hungry Spawn ( ), can force an opponent to take four damage at the cost of discarding the development. The primary ability of the Recruit Order allows a player to recruit units from one resource dial, taking one for each unit that appears at or below the chosen resource dial. Units are placed in areas containing friendly strongholds and may be split between multiple areas. A maximum of eight units can be located in each hex, but units may be destroyed after unit placement. Units may also be destroyed before recruiting in case there are not enough units available to be recruited. If played with the Supremacy Bonus, the primary ability can be executed again on a second resource dial. - Recruit Neutral Units: Neutral units of the listed number and base type are placed in the city area. A maximum of eight units can be located in each hex, but units may be destroyed after placement. If all neutral units of a specific type are already on the board, then no more of that type can be recruited. - Draw Tactics Cards: Draw a number of tactics cards as listed for the city. If the player has more than ten Tactics cards, then they must discard down to ten. Tactics cards may not be used in the same season they are received. - Draw Influence Tokens: Draw a number of influence tokens as listed for the city. - Draw Quest Cards: Draw a number of quest cards as listed for the city. If the player has more than three Quest cards, then they must discard down to three. If played with the Supremacy Bonus, up to three influence may be spent to acquire a new hero. One hero is drawn from the Hero deck per influence spent, and one is chosen to keep. The remainder, if any, are shuffled back into the deck and the selected hero is placed at a friendly stronghold. Each player may control a maximum of three heroes at any time; if they acquire a fourth, then one must be released. - Captain of the Heroes’ League: Your heroes never desert you. During your turn, you may discard 3 Reward cards from any of your heroes to gain 1 dragon rune (once per turn). - Lord Commander of the Warriors’ Guild: You gain +2 strength in battle if a rune token is in the area. Before resolving a Conquer Order, you may look at a rune token in any one area. - Build a Stronghold: The player may reduce his wood and ore resource dials by 1 each to build a stronghold in an area he controls. Strongholds are production points for units and heroes, provide a large defensive bonus, and provide points for building developments. Each player may build a maximum of four strongholds. Each area may have at most one stronghold, and strongholds may not be built in areas that already have cities. - Repair a Stronghold: The player may reduce his ore resource dial by 1 to repair a damaged Stronghold. Strongholds become damaged after battles in their area, reducing their defensive strength. - Move Rune Tokens: The player may select two areas he controls and freely move rune tokens between them in any order. Each area may hold at most one rune token. - Success ( ): All neutral units become allied with the player, remaining in the area. - Neutral ( ): All neutral units must retreat to an adjacent uncontrolled area or are destroyed if no area is available. If there is a choice of areas, then the player to the left of the active player may choose the retreat area. Retreated units are then routed, and if the number of units in the retreated-to area exceeds eight, units must be destroyed until eight remain. - Failure ( ): The active player must choose to either start a battle with the neutral units or retreat his units to an adjacent friendly area or an empty area if a friendly area is not available. If no areas are available for retreat, the units are destroyed instead. Retreated units are then routed, and if the number of units in the retreated-to area exceeds eight, units must be destroyed until eight remain. All Fate cards drawn are discarded after diplomacy is resolved. See the appropriate section below for Fate deck probabilities. - Resolve Special Abilities ( ): Each unit has a special ability that provides a unique effect in battle that may need to be resolved by either the owning player or their opponent. - Resolve Routs ( ): Each player routs a number of units equal to the number of rout symbols drawn by their opponents. Routing must be assigned to undamaged units unless there is no other option. Units that have been routed do not draw cards in battle and normally cannot be moved. Routed units become unrouted during the secondary ability of Spring Season cards. - Resolve Damage ( ): Each player applies an amount of damage equal to the number of damage symbols drawn by their opponent. If a unit receives damage equal to its health, it is destroyed. Damage must be assigned to units that have already been damaged first before being assigned to other units. If there are no damaged units, then damage must be assigned to standing (non-routed) units unless there is no other option. Units recover from all damage at the end of battle. The player with the highest total wins the battle, with the defender winning ties. The player losing the battle must retreat their remaining units to an adjacent friendly area or an adjacent empty area if one is not available. If no area is available for retreat, the units are destroyed instead. Units that were routed during the battle are allowed to retreat, but those which were routed prior to battle are destroyed. Retreated units are then routed, and if the number of units in the retreated-to area exceeds eight, units must be destroyed until eight remain. If the attacker has more than eight units in the area after victory, then he must also retreat units to an adjacent friendly or empty area until the limit is met. If the attacker successfully takes over an area with an enemy stronghold, it is destroyed and may be replaced with a damaged friendly stronghold. If all strongholds have already been placed, then one may be destroyed to build a new one. Finally, all damage taken by units in the battle is healed. Heroes are special figures that are under the control of each player that do not follow the normal rules of other units. Generally, heroes ignore all other units except other heroes, being able to move freely between areas (though are still subject to constraints from restricted movement edges). Factions will use heroes to attempt Quests to obtain Reward cards that may result in the accumulation of dragon runes. Heroes can also be used to scout enemy lands and duel enemy heroes. Each player may control a maximum of three heroes; if they control more than three, they must release heroes until they hold three. - Move: The hero is moved up to two areas and choose to duel a hero or attempt a Quest in the area. Routed heroes may not perform this action. - Heal: All damage on the hero is removed. Unlike regular units, heroes maintain the damage they take after actions. This action can only be performed in friendly areas. - Train: The player may increase two of the hero’s attributes by one each, or one attribute by two. The maximum increase each attribute can have is +2. Completing Quests allows for heroes to gain Rewards, useful for a number of means including the gaining of dragon runes. To complete a Quest, the hero must normally move to a specific area of the board and perform some sort of action. Some of these involve duels (covered below), but many involve testing of attributes. In an attribute test, the controlling player draws a number of Fate cards equal to the hero’s attribute level, selecting one to play (much like diplomacy with neutral units). Effects are dependent on the specific Quest card. If a hero gains a Reward from a Quest card, it is considered completed. The Quest is discarded and the player draws a new Quest card. Reward cards are kept unrevealed until they are first used, at which point they remain face up. Rewards may be freely traded between heroes, including during movement. Duels may be initiated by certain Quests or by opposing heroes being located in the same area. Duels are not mandatory, and opposing heroes may stay in the same area peacefully. If a duel is initiated in an area with multiple targets, then one target is chosen to duel. Duels are resolved in a series of up to four rounds. In each round of a duel, each player draws one Fate card and reveals the outcome; heroes count as circle-base figures. Special ability icons can be used to either deal one damage or use a special ability on an applicable Reward card. Rout icons do not rout in a duel; instead, they provide the hero one defense against damage taken in the round. Certain Reward cards may be used in combat, but only one Weapon card and one Armor card may be used in a single duel (the same Weapon or Armor may be used multiple times, however). A duel ends when four rounds have passed or a hero has been defeated by taking damage equal to their health. Damage taken in a duel remains on the hero. There are no retreats after battle. Routed heroes may not initiate battle, but still act as normal if challenged. Reward cards held by heroes that have been defeated in a duel are received by the victorious hero and may also be allocated to the hero’s allies in the area. If a hero is defeated by other means, such as from other Quest results, their Reward cards are dropped in the area. Any other hero may obtain these cards on their action if they are in or move through this area. Defeated heroes are removed from the game entirely. Heroes may desert players through certain Season and Tactics cards, and are more likely to desert if their alignments do not match that of their controllers. Heroes may also be released when a player exceeds their limit of three heroes. When a hero deserts, all their Reward cards are discarded and the hero returns to the hero deck and may be hired again. Special Ability: You may look at rune tokens in areas adjacent to this hero at any time (in addition to rune tokens in her area). Special Ability: When this hero trains during the Quest Phase, he may also heal 1 damage or move 1 area (but may not duel or attempt a Quest). Special Ability: Before moving this hero during the Quest Phase, you may discard 1 Quest card to draw 1 new Quest card. Special Ability: This hero may move up to 3 areas during each Quest Phase (instead of 2). Special Ability: Instead of starting a duel against an enemy hero, this hero may take 1 damage to take 1 random Reward card from a hero in his area. Special Ability: When this hero receives Reward cards by completing a Quest, draw 1 additional Reward card, discard 1, and keep the other. Special Ability: Once per Quest Phase, you may look at all Reward cards on a hero that is up to 1 area away. Special Ability: When this hero ends his Quest Phase in an area containing enemy or neutral units, your opponent must destroy 1 of his Triangle units present. Special Ability: At the start of each Quest Phase, remove 2 damage tokens from this hero. Special Ability: At the start of a battle or duel in this hero's area, you may deal your opponent 1 damage. Special Ablity: During the Quest Phase, you may destroy 2 Triangle or 1 Rectangle unit up to 1 area instead of healing, moving, or training this hero. Special Ability: When moving this hero during the Quest Phase, you may deal her 1 damage to move her up to 4 areas (instead of 2). The objective of the game is the collection and control of six dragon runes. As soon as a player controls six regions with true dragon runes, they may reveal the runes and claim victory. Each player starts out with two true runes in their home regions and can gain more through various means: hero quest rewards and the “Captain of the Heroes’ League” Title card, Winter season events, fulfilling secret objectives, and conquest of enemy lands. Players each start with one secret Objective card, based on alignment. Good objectives tend to revolve around diplomacy and economic growth, while Evil objectives tend to revolve around conquest and empire expansion. Each player may have at most one Objective card at any time, and Objective cards are discarded when the conditions are fulfilled and the player wishes to claim their dragon rune. Whenever a player receives a new dragon rune to place, he may first remove up to two false runes from areas under his control. Then, he places one dragon rune and one false rune in areas that are either friendly or uncontrolled. Each area can hold at most one dragon rune. Dragon runes are generally kept face down, their identities secret until the end of the game. Players may look at any dragon rune in areas that they control or have a friendly hero. Dragon runes are not moved except for certain Season and Tactics cards. After a player order and factions are assigned, each player receives two basic map pieces to build the board with. 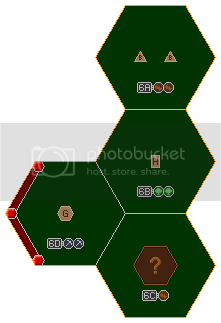 Each player adds a piece to the board (the first player simply placing down any tile on his first turn), making sure that at least two hexes of the added tile touch at least two hexes on the pre-existing board (except for the first player), and that there are no touching restricted-movement borders. 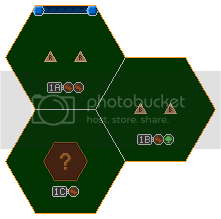 Afterwards, the first player decides the location of the home realms, making sure that it is connected to at least three free movement borders and there are at least four hexes between home realms (one pair of home realms may be placed three hexes apart). Starting with the second player, each player chooses one location to place his home realm. Once the map is built, cities are placed. Players obtain the amount of tactics cards and influence specified for their faction along with two Quest cards and one Objective of their faction’s alignment. Each player receives one stronghold, starting units according to all their starting resources, and a hero of the faction’s alignment. These are placed in the players’ home realms, as well as two dragon runes and one false rune. Declare actions when resolving Order cards in the thread in bold and the appropriate color for your faction: limegreen for the Latari Elves, dodgerblue for the Daqan Lords, orchid for Waiqar the Undying, and crimson for the Uthuk Y’llan. Actions that require simultaneous resolution such as selection of Order cards for each season or influence bids should be performed via PM to the host. Once all orders/bids from players have been received, the results will be posted by the host. Placement of dragon runes should also be sent via PM to the host. Drawing and selection of Fate cards will be handled primarily by the host. In the interest of expediency, if at all possible, send contingency orders for damage, routing, and retreats in battle via PM. In the case battle orders are not received, rounds will be handled via PM between the armies in question. For diplomacy and quests, it will be assumed that the best result will be taken unless otherwise specified. Signups will be open until about 8:00PM PST on Monday, February 15, 2010, or when 4 players have signed up, whichever is later. Sign up in bold text in some bright color. If you have a preference for a faction to play, put it in your signup post. Four players will be randomly selected from all players that sign up and factions will be assigned as best as possible according to preference. If you don't get enough players, I'd love to play, but I'm already Uthuk in the first game. I've read most of the rules for this, but had to stop because I could no longer contain my erection. Traitors the lot of ya! Looks like a fun game, want to play more, etc. Sure, I'll give this a try- first time player, but looks iiinteresting. edit- read through rules fully, definitely looking forward to giving it a try. Should be interesting to see how this translates. Been drooling over the board game since it was announced. Each player has been randomly drawn two map units to place. 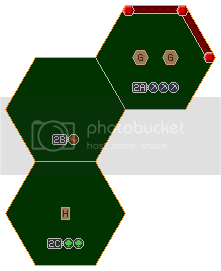 Starting with Kias, each player will place one of their tiles on the map, making sure that each added piece is adjacent to at least two hexes already placed. Once all tiles have been placed, Kias will decide the locations of the home realms, ensuring that they are connected to the map by at least three free-movement edges and are all at least four areas apart (exception: one pair is allowed to be only three hexes apart). Then, starting areas will be selected, starting with admanb. I will do my best to update the map as quickly as possible when necessary. For now, Kias can choose one map segment to start things off. When building the map, be sure to think about making a balanced setup - you may not be able to get a position that you want! Go ahead and put tile 7 in the middle with 7a facing up (like it currently looks in my spoiler box). Are we selecting home realms in the same order we're laying tiles here? Home realms are pre-set for each race. We select where it goes after we build the map and the first player (me in this case) sets the starting locations up. Yeah, I was wondering if I would get to choose my starting loc, seeing as I'm placing last. Alas, this doesn't seem to be the case. The first player chooses where players can potentially start. However, after he does that, each player then chooses one of those locations to place his home realm at, with the first player going last. Kias means that your actual tile that represents your home realm is pre-set, it matches what your faction is. Don't be afraid to put in gaps and bends, those can add a lot to the game. I'm curious- is it possible to end up with one or more starting locs that are only accessible by flying units and/or during winter? No, as home tile set up rules prevent it (*edit* the locations you can choose from for you home realm must touch three non red/blue [mountain/water] area borders), but you can have them set up with built in choke points, i.e. a single area that leads to your home realm. Just remember, this can cause more difficulty than its worth as it limits your ability to reinforce and spread out. There are also tactics cards that let you pass through mountains, so relying on them too much can get you in trouble. Yeah, I'm gonna keep quiet now. 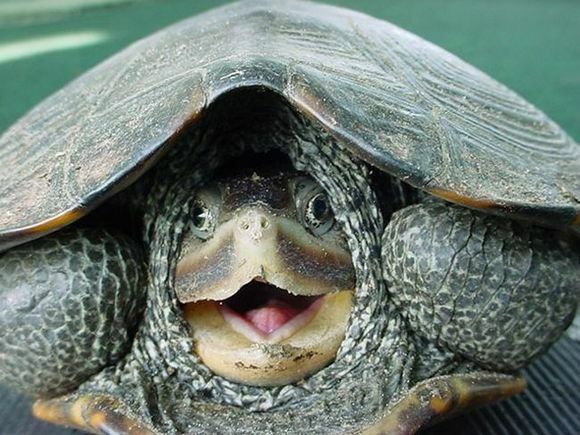 Already I've given away too much of my cunning plans! admanb is up to place. As a good-aligned race, it is my destiny to bend the land to my will....by the sword. Place 2C on 0606/2B on 0705. Place 8A on 0508 / 8D on 0505. That isn't right cause mine is one higher to touch two existing hexes. Speaking of which, was your first move ok? 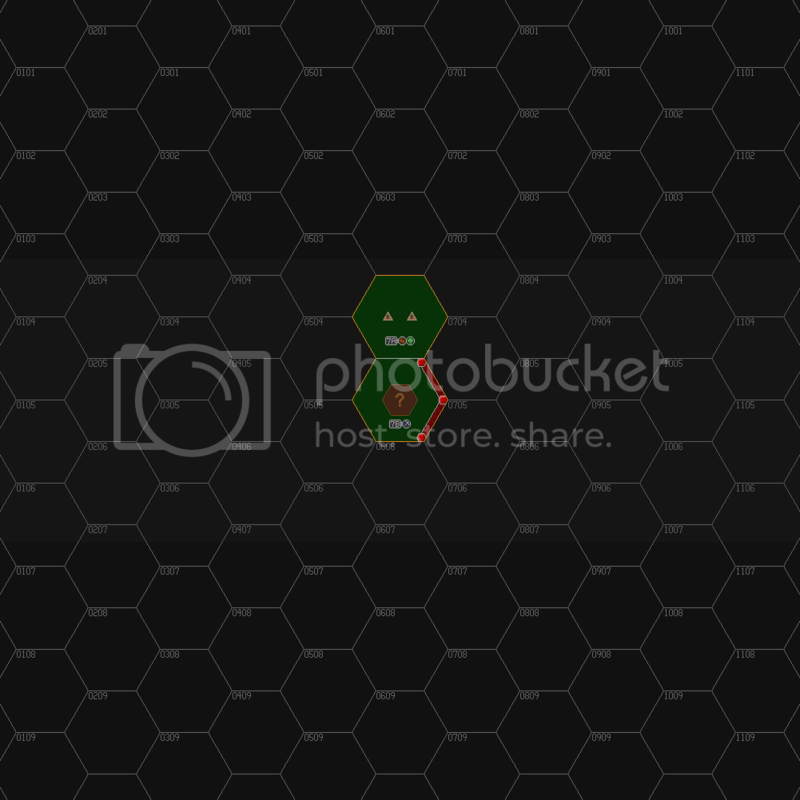 Two of your hexes touch an existing one, but only one existing hex is touched when there should be two right? What's the exact wording here? Yeah I noticed that. I moved it, but you may have to empty your cache. Revise my move so 2B is on 704 and 2C is on 705. Sorry! In that case, make mine go from 0907 (8A) to 0606.